(12) all consultancy or internal reports undertaken, completed or otherwise, relating to the above. This is in one sense a straightforward documents motion that seeks, under standing order 11.01, the tabling in the Council by 20 January 2016 of a copy of all documents relating to traffic flows, projections, plans produced, developed and considered by VicRoads, state government departments and other state government authorities concerning Punt Road between St Kilda Road and Swan Street. It lays out a series of analyses that may or may not have been undertaken. I am aware that some of these have been undertaken, and I am also aware that it is unlikely that some have been undertaken to the scale and complexity and in the cautious way that you would expect a government agency to undertake a number of these points. This documents motion seeks very simply the presentation of those documents to the chamber. It seeks to inform public debate. The government is undertaking a public consultation process at the moment, and that public consultation process requires that the community have submissions available for the consultation process by early February. These documents would inform the community of matters around the government’s proposals on Punt Road. It is important that the chamber understand some of the context of these matters and why the provision of these documents, in my view, is in the public and community interest. The overlay on Punt Road has been there for many decades. That overlay seeks to leave the government’s options open for the widening of Punt Road. Clearly Punt Road carries an enormous amount of traffic, and that traffic is growing, although perhaps not growing at the rate that some have alluded to. Nonetheless, the full analysis of these studies that has been undertaken by government over a period of time would inform public debate on these matters. It is clear that Punt Road is not only a major thoroughfare road but also a road that is part of the community in South Yarra. It is clear that major institutions in South Yarra are located in and around Punt Road. I have named many of them in the motion to make it abundantly clear to the executive that documents relating to any analysis of the impact of road widening should be provided to the chamber and thereby to the community to enable better decision-making to occur. Whether it is the South Yarra Primary School, major health institutions, aged-care institutions or public or private schools, we should have those analyses in the public domain. Where the government has not undertaken a rigorous analysis of those areas — and for some there may be no documents available — that fact should be in the public domain too. If the government is making decisions on these matters, it should do so in a way that ensures that these documents are in the public domain and that decision-making is improved. I am very concerned about the government’s proposal to widen Punt Road. The coalition’s position has been that a clearway is one way to manage this issue, perhaps with additional car parking provided in and around Punt Road. There are several options for that, but that has been the coalition’s position. We accept the government is going through a process and it needs to get on with that, but the community needs to be able to have its input into the process in an informed way and in a way that the executive does not have additional information at its disposal that the community, the Council and indeed members of Parliament do not have at their disposal. The Legislative Council has the powers to demand these documents. If the motion is carried today, I implore the government to move as quickly as it can so that the public consultation is not in any way hindered or delayed by the process. Many members of the community have spoken to me as their local upper house member. 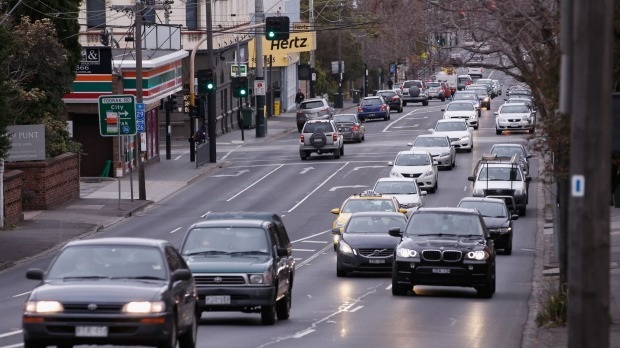 They have made the point that the exercising of the government’s public acquisition overlay and a widening of Punt Road is not the best option. As I said, our position has been in favour of a clearway, perhaps with associated parking. I am also aware that the government has done other analyses of options. I know that the Morrell Bridge has been the subject of some of those discussions. I know the widening of the crossing of the Yarra River has also been the subject of those discussions. I know that options for cut and fill and potential tunnel solutions have been considered at various points in the past. The details of those examinations need to be in the public domain to inform the decision that the government and the community make on all of the options. In bringing the motion forward, I make the point very strongly that South Yarra is a community and that putting a massive freeway through the middle of that community would have enormous effects. There would be safety effects, health effects and effects on community connectivity. None of these appear to have been thought through sufficiently by the government. This production of documents motion will put more information into the public domain. It will inform the public consultation process, and it will inform members of Parliament, the local council and the community in full. In those circumstances I believe it is very much in the public interest that all of the documents be provided and that the government does not seek to use some mechanism of executive privilege or some other public interest focus as a way of avoiding the provision of documents. I can assure the community that I will be working very hard to ensure that these documents are provided. The date of 20 January has been carefully chosen to enable the government to move in a reasonable time but also to provide those documents in a period that will enable the community to have full access to them prior to any further submissions that people might make to the public consultation process. It is an important date. It is not an ill-thought-through date; it is one that is absolutely imperative. In those circumstances I urge the chamber to support the motion. It is very much in the public interest.